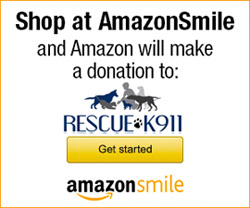 Adoption Application « Rescue K911 is an animal shelter located in Camp Hill, AL. To be considered for adoption of one of our rescued dogs, we ask that you complete the following application as honestly and accurately as possible. This information is requested so that we can assist you in the selection of a new dog. This form and consultations with our adoption team are designed to help you find the dog most compatible with your lifestyle and would make a good fit for you. We have to be thorough in our efforts, and make the right decision for rescued dogs that have already been through so much. Please be patient and understanding with us. As a rescue group, this is our passion, and we really care about our dogs. Thank you! Thank you so much. Please do not hesitate to contact us should you have any questions.